The lower house of the State Duma will call upon the Western states to immediately halt their military actions against the Gaddafi regime in order to avoid civilian casualties. “The State Duma expresses concern over the scale and form in which the military force is used against Libya and calls for parliaments of France, Great Britain, United States, Italy, Canada and other states that are conducting the military operation to assist the immediate end of combat that damages the peaceful Libyan infrastructure and most importantly causes new casualties among civilian population,” reads a State Duma draft statement the international affairs committee has recommended adopting on Wednesday. The Duma "joins the UN Security Council demands on immediately working out a ceasefire and absolutely stopping violence and all attacks on civilians and their cruel treatment and is calling on the leaders of Libya and the coalition member-states to strictly follow the spirit and the letter of relevant resolutions in their practical actions," the statement continues. 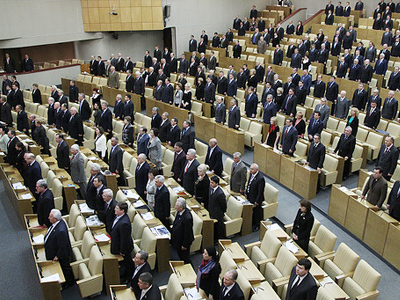 Of the 450 deputies of the State Duma, 341 voted in favor of the resolution. The lower house will hold a final vote on the document on Wednesday evening after discussing the amendments to it. The resolution stresses that Russia joins the demands of the UN Security Council to immediately stop all violence against civilians, and that Russia calls for both the Libyan authorities and the coalition countries to base their actions on the corresponding resolutions. Meanwhile, the Russian parliamentarians approved of their country’s decision to abstain from voting on the UN Security Council Resolution 1973, which provided the coalition forces to employ “all necessary means” for protecting Libyan civilians from the violence that has shaken their country since anti-government protesters took to the streets against Libyan leader Muammar Gaddafi, who has been in power since 1969. 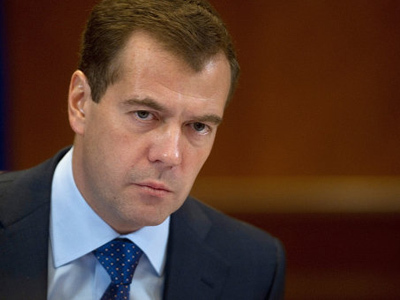 “The decision was a choice adequate to the situation,” the Duma statement reads. The parliamentarians said they regretted that a draft UN Security Council resolution proposed by Russia, which was aimed at peacefully settling the crisis in Libya through the involvement of a special representative of the UN secretary-general, and other international organizations, failed to win significant support. The Russian lawmakers stressed that one of the major flaws of Resolution 1973 is that is failed to restrain the use of excessive military force. 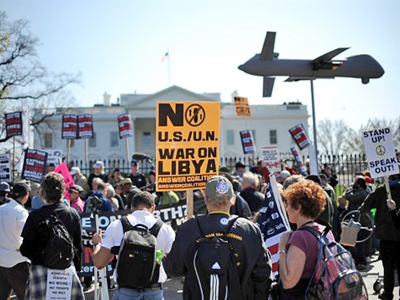 Resolution 1973 "declared primarily the need to protect Libya's civilian population, including through the imposition of a no-fly zone, but this resolution failed to set clear limits on the use of military force," the Russian lawmakers said. Russian parliamentarians stressed that the realization of the UN resolution allowed certain countries to pursue different goals when delivering missile and bomb strikes on Libyan territory, targeting sites that had no immediate relation to enforcing the no-flight zone. Given such “indiscriminate use of military force,” the lawmakers said, the prospects for the normalization of affairs in Libya may take much longer than necessary, while also prompting other states to develop their own weapons of mass destruction. Russia has abstained in the UN Security Council vote on the resolution authorizing the use of force in Libya, but President Dmitry Medvedev amended the Russian legislation in accordance with the resolution, banning the sales of arms to Libya and also refusing Gaddafi and his close circle the right to enter the Russian Federation. 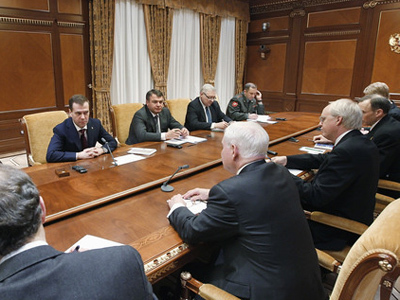 At the same time, Russian officials have repeatedly criticized the resolution and warned that it could lead to a lengthy war with numerous casualties.